Pick Up From Jammu Airport /Rly Station/Bus Stand Check Into The Hotel. 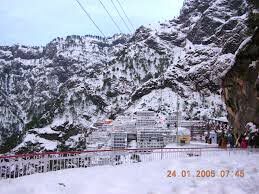 After Lunch And By Afternoon, Leave For Katra In A Car. 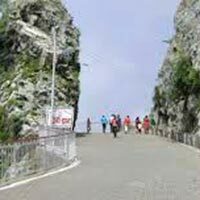 Arrive In Katra And Begin The Yatra On Foot To The Temple Of Vaishno Devi. 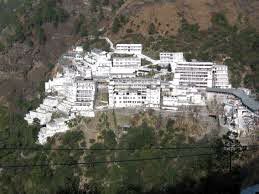 Arrive At The Temple Of Vaishno Devi Early In The Midnight Hours. 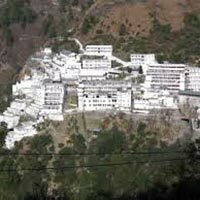 Spend A Couple Of Hours At The Temple For Darshan And Prasad And Then Return To Katra After Breakfast At A Local Restaurant. Leave Katra For Jammu In A Car. Check Into The Hotel And Freshen Up. Go Out, Relax And Recuperate. Dinner And Overnight Stay At The Hotel. 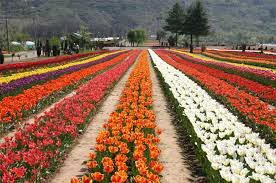 After Breakfast, Drive Down To Jammu Airport And Take Your Flight To Srinagar. 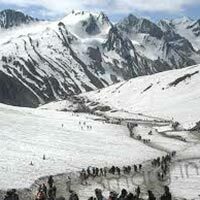 From Srinagar, Get Transferred To Sonmarg For An Overnight Stay. 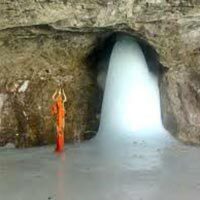 The Holy Cave Of Amarnath Is Visited By Thousands Of Pilgrims Every Year On A Full Moon Day. 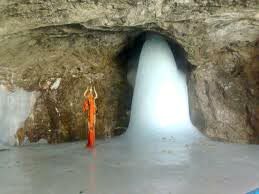 We Leave Sonmarg Early Morning To See The Ice Lingam And Offer Prayers In The Amarnath Cave. After The Darshan Is Complete, We Take A 4 Km Walk Down To Baltal Where We Stay Overnight In Makeshift Tents. 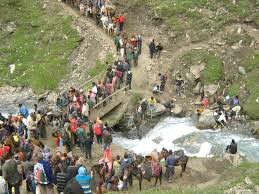 You Can Also Make The Choice Of Being Transferred To Sonmarg Instead Of Baltal If You Want To Go For A Hotel Room. 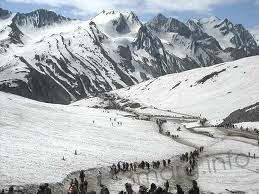 Sonmarg Is At A 15 Km Distance From Baltal. After Breakfast, Leave For Srinagar. Check Into A Hotel Or House Boat As Per Your Choice. Relax For A While. 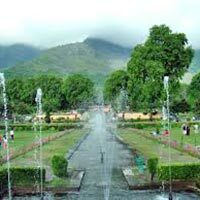 Next, You Will Be Visiting The Mughal Gardens, Shalimar Bagh And Nishat Bagh Located On The Sides Of Dal Lake. 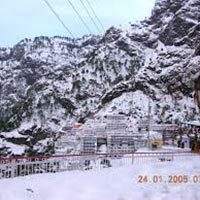 You Also Get To Visit Khirbhawani Temple Dedicated To Ragnya Devi. Stay Overnight In The Houseboat/ Hotel. Check Out Of The Houseboat/ Hotel After Breakfast And Get Driven To Gulmarg. Check In At Your Pre Booked Hotel. Spend The Rest Of Your Day In Recreational Activities Or Relaxation. Stay Overnight In Gulmarg Hotel. After Breakfast, The Day Is For Leisure Activities. 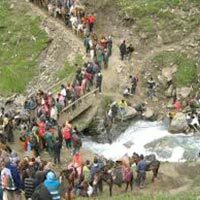 You May Go On Walks Or Pony Rides (At Your Own Cost) To The Many Sites Around Gulmarg. 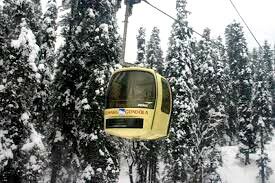 A Gondola Ride (Cable Car) Awaits You After Lunch Which Takes You To Khilanmarg (At Your Own Cost). Dinner And Overnight Stay At The Hotel. Have Your Breakfast At The Hotel, Check Out And Drive Down To Pahalgam. Check Into A Hotel In Pahalgam And Spend The Day Relaxing. Stay Overnight At The Hotel. Drive Back To Srinagar From Pahalgam After Having Breakfast At The Hotel. 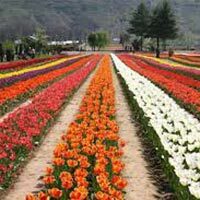 Go Shopping And Explore The Local Markets For Their Exquisite Kashmiri Handicrafts. 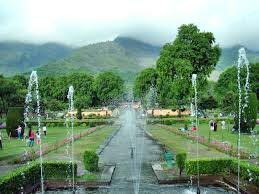 In The Afternoon, Get Transferred To The Airport/Rly Station /Bus Stand Tour Ends Here.